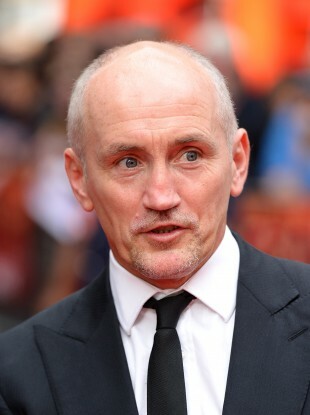 Barry McGuigan has criticised recent remarks made by Tyson Fury. FORMER IRISH BOXING star Barry McGuigan has hit out at Tyson Fury after the British boxer called him “a traitor to your home country” on Twitter. Fury, who has in the past been criticised for a series of controversial remarks, was responding to McGuigan’s Daily Mirror column, in which the promoter said he was ”like a child (who) has no filter, no off button”. “Tyson is appalling and comes out with some appalling stuff,” McGuigan said, in an interview with Press Association Sport. “He was unnecessarily abusive towards me and my past and he can’t behave like that. In addition, a YouTube broadcast by the WBA and WBO heavyweight champion has led to accusations of homophobia, sexism and anti-Semitism, with the fighter’s words prompting complaints to the British Boxing Board of Control (BBBofC) from the Campaign Against Antisemitism. McGuigan, who is credited with helping to bridge the Catholic-Protestant divide in Northern Ireland owing to his success in boxing in the 1980s, added in his column that he felt “lucky,” having failed to sign Fury to his promotion in the past. The controversial fighter is set for a rematch with Wladimir Klitschko, who he defeated last November, on 9 July for the WBA and WBO titles. Fury has claimed the upcoming bout with Klitschko will be his last fight in boxing. Email “Barry McGuigan tells Tyson Fury to 'grow up' after 'traitor' jibe ”. Feedback on “Barry McGuigan tells Tyson Fury to 'grow up' after 'traitor' jibe ”.